Cheap Weekend Fun in Boston for June 11-12, 2016! Happy (almost) weekend! 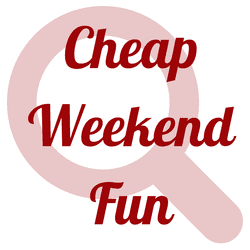 Here’s some fun and (almost) free things to do this weekend in the greater Boston area! Let me know if I missed any of your favorites in the comments below! Bunker Hill Parade: Sunday, June 12, 2016 at 12:30pm in Charlestown. Celebrate the 241st anniversary of the Battle of Bunker Hill in Charlestown. Boston Dragon Boat Festival: June 11-12, 2016 on the banks of the Charles River. Watch over 30+ teams from the US and Canada race in 39-foot-Hong Kong-style dragon boats on the Charles River! Out of the Park Event: Sunday, June 12, 2016 starting at 1:10pm in Boston Common. Head to the Common to watch the Red Sox game on a big screen! Free food, family-friendly activities and fun! Fresh Pond Day: Saturday, June 11, 2016 in Cambridge from 11-3pm. Enjoy live a wildlife & bike parade, live music, wildlife presentations, a wildlife and bike parade, live music, children activities and more! Free and open to the public. The Village Fair: Sunday, June 12, 2016 from 12-4pm in Brookline. Enjoy this second annual event with music, games, food, and entertainment along Harvard Street and throughout the Village! 10th Annual Family Music Festival: Sunday, June 12, 2016 at Lowell School Park in Cambridge. Enjoy this family-friendly festival with live music, games and fun for the whole family! Arlington PorchFest: Saturday, June 11, 2016. Head to the porches of Arlington on Saturday to enjoy free music from local musicians.